The world of perfume is a massive industry that crosses all continents and extends even into remote regions of third world nations where inhabitants want to alter the natural scent of their bodies or their surroundings. The majority of the perfume sold today seeks to create a mood, often one of attraction to another person. Appealing to our sense of smell, the cosmetic industry produces thousands of scents, in hopes one will capture our interest. The earliest usage of perfume is traceable to ancient Egypt where the citizens shaved their heads and placed a bit of scented animal fat under their headdress. During the day, heat from their body slowly melted the fat and it seeped downward, masking their natural odor. Ancient Rome worked diligently to perfect the production of perfume and their method of distillation is still in use today. The largest production of high-end perfume centers on European distilleries that purchase massive amounts of fresh flowers from nearby growers. France, in particular, celebrates perfume as one of its national industries. However, making perfume is not limited to commercial production. Native tribes on the African continent take part in making their own scents from spices and plants. The earliest forms of body perfume appeared around 2300 BC, in Egypt but a precursor to this body perfume began in Cyprus around 4000 BC, involving the use of various dried plants and herbs to make an incense-type substances that scented the air when burned. The distillation method of producing perfumes gave the Romans a method of extracting a stronger scent in 1000 BC. 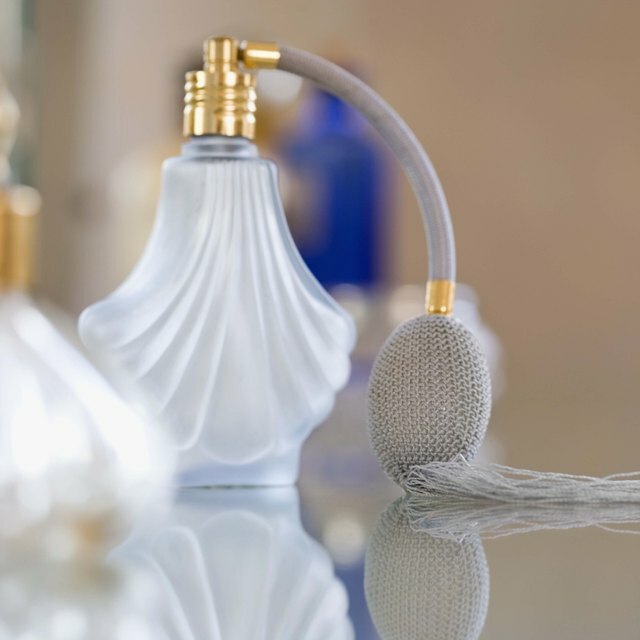 In the 9th Century AD, perfume chemists in Europe began recording their recipes and methods. What Products Is Oregon Famous For? What Colors Make People Want to Eat? Detractors of the perfume industry claim that massive production and use of perfume creates a human health issue and contributes to environmental pollution. Asthma patients may suffer an attack when certain scents are present and due to the use of various plants in the production of perfume, some people may experience an allergic reaction. Musk, a common perfume ingredient has been detected in polluting quantities in lakes and rivers near perfume factories. The potential for growth in the perfume industry is substantial as more research into how certain scents affect human behavior are conducted around the world. In addition to producing scents that are pleasing to the nose, studies indicate that different smells produce different behaviors in humans. Researchers are busy testing and isolating these scents in order to produce them commercially.